It's no secret that the PS Vita has been struggling. Numbers have consistently shown the portable console to be underselling its predecessor, the PSP, on an almost weekly basis. As has been pointed out in the past, the key to a hit console is to have hit games, and just as if to drive point home, one came out just last week, causing Vita sales to quadruple. In a somewhat somber post yesterday morning, a developer for the game tweeted, "Sales numbers have come in... At this rate, [Project Diva]f2 might be a little difficult. We did use too much money developing [Project Diva]f..." While it's not the final word on the matter, it does paint a pretty grim picture of the situation. Project Diva f is the third Project Diva game (the previous two were for the PSP) and as rhythm games go, the series has been quite enjoyable. It'd be a shame if this was the last. Especially with that bump in Vita sales. 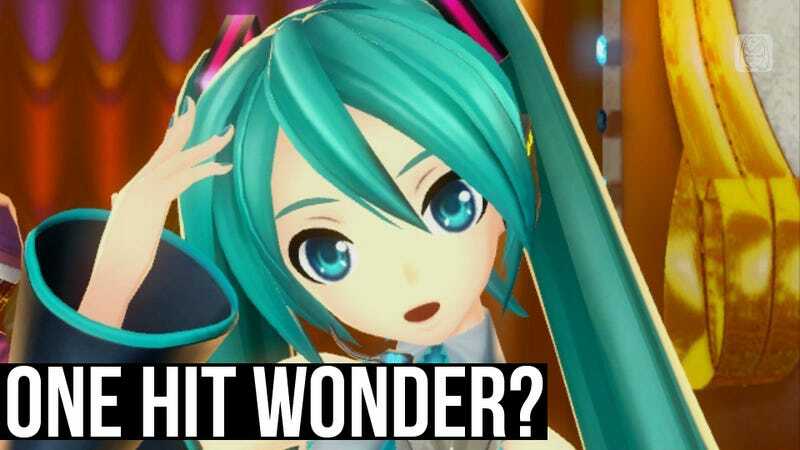 Look forward to the Kotaku review of Hatsune Miku: Project Diva f coming soon!